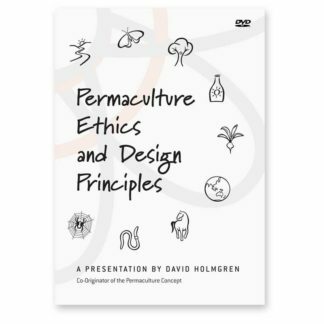 In this presentation David Holmgren explains permaculture as a design system to relocalise our economies and communities in the face of the twin threats of Peak Oil and Climate Change. 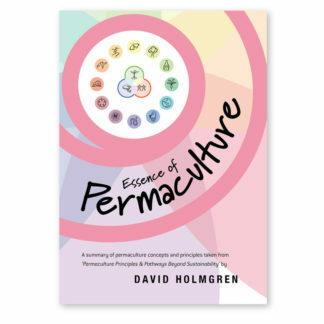 In part I, David outlines the history of permaculture as a design concept and a global environmental movement in the context of the emerging energy descent brought on by the peaking and decline of global oil supply and the whole spectrum of environmental, economic and social crises. 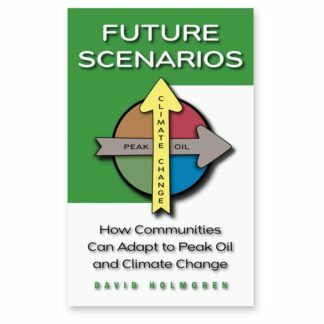 Relocalisation of our economies and communities is highlighted as the central organising strategy for creative grass roots adaptive response to the energy descent future, both to build resilience and capacity in the face of unprecedented threats, and grasp the creative opportunities from energy descent. 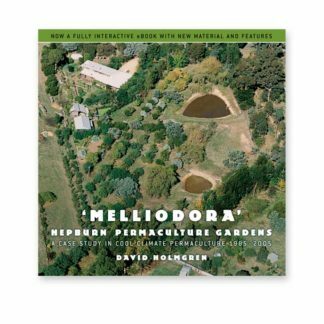 In part II, David uses his photos of examples of the diversity of permaculture design solutions from his own property Melliodora as well as the wider world of permaculture to show the scope and depth of permaculture design in the home, garden, farm, forest, community and ecomomy. 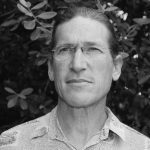 The permaculture flower is used to bring these diverse examples together. 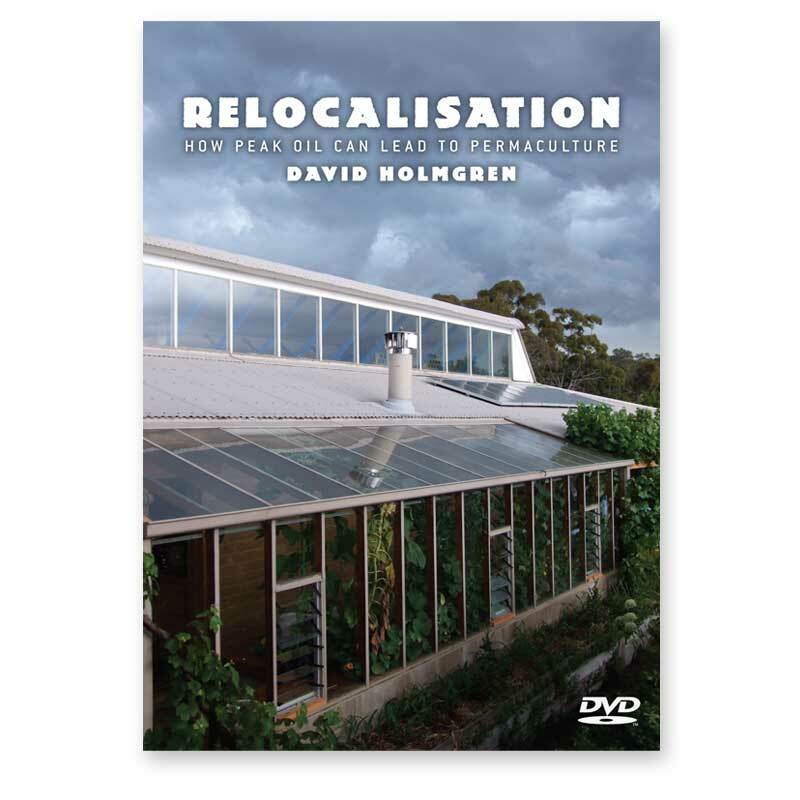 David ends with the imperatives for relocalisation and an inspiring example of how permaculture activism has led to relocalisation. 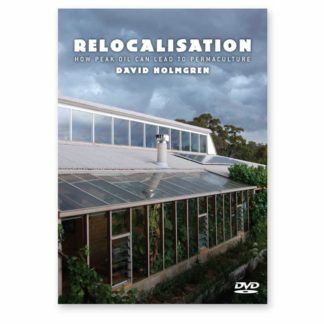 The DVD includes introductions by Christine Carroll of Permaculture Noosa and Dr Anne Miller of the University of the Sunshine Coast Queensland as well as an extended Q & A session. 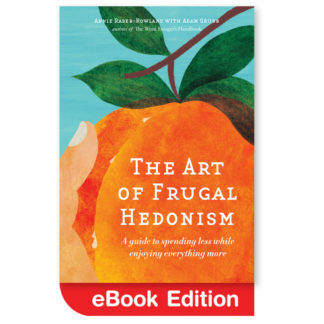 Apple OSX, Windows PC, PAL DVD Video – All Regions. Length: 115 minutes, filmed in August 2006.